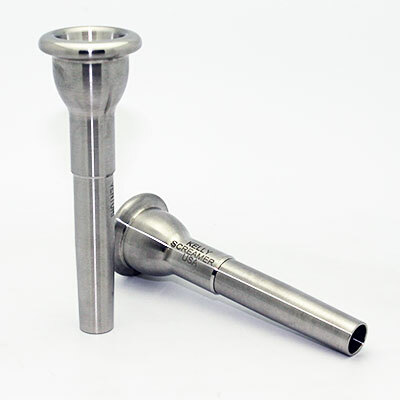 KELLY'S US-Regulation-Bugle Mouthpieces are manufactured entirely from our indestructible & comfortable Lexan material! 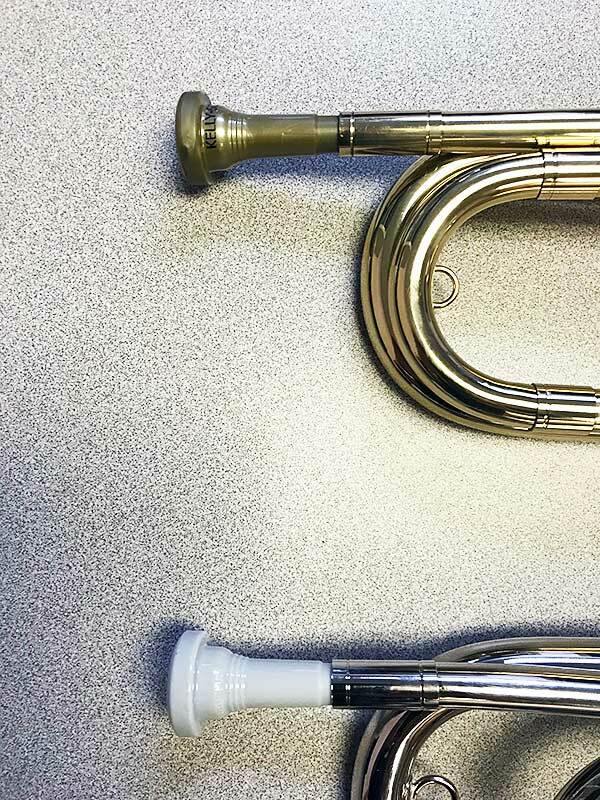 The custom-shanks are designed to specifically fit US-Regulation-Bugles. 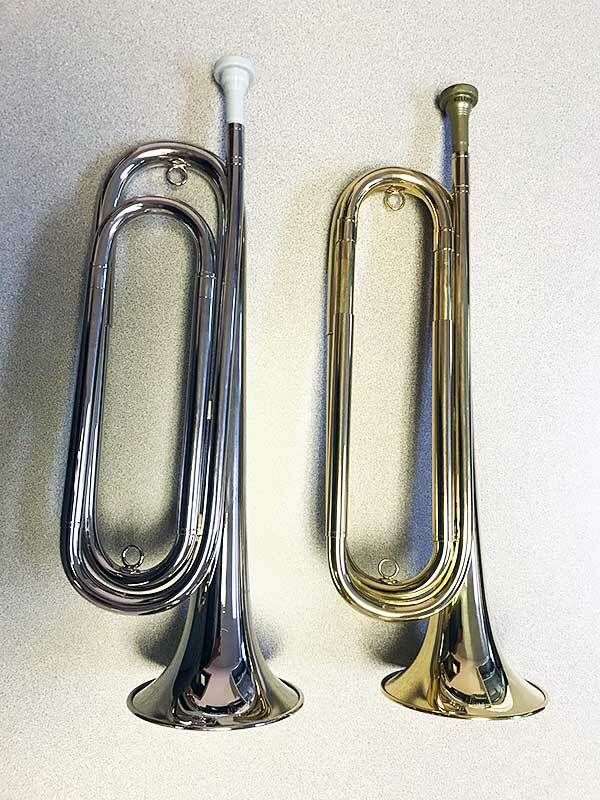 KELLY'S Steel-Grey color matches nicely with nickel-silver bugles & our Harvest-Gold is a great match for your brass-lacquer bugle! KELLY - SCREAMER - Our shallowest cup - Perfect to assist with your high range! KELLY - 7C - KELLY's music-industry standard! KELLY - 5C - Patterned after the bach series!